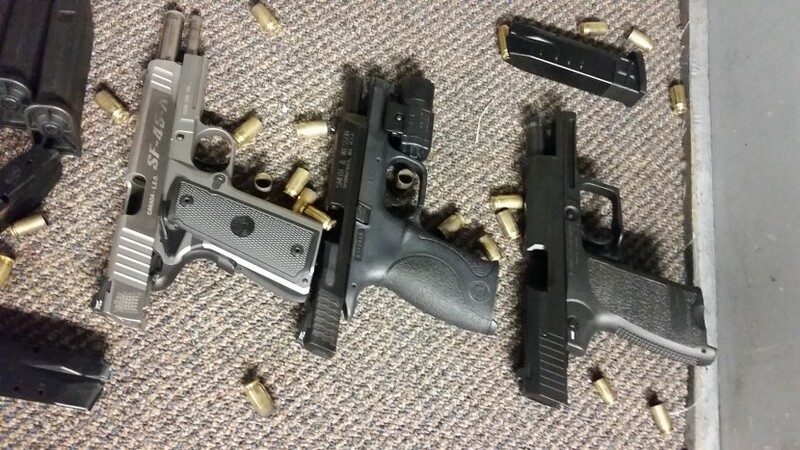 Cities Moving To Ban Handguns, Are You Affected? The city of Toronto recently passed a motion that would “ban handguns” within the city limits. Other cities, such as Hamilton, are looking at following suit. But what does the motion really mean and does it affect you as an individual firearm owner or prospective owner? The move comes in the wake of several high-profile crimes involving firearms that have attracted media attention lately, and in a year in which the federal government is already looking at making changes to existing gun laws in Canada through Bill C-71. The answer to the question posed is both yes and no. The handgun ban motion is in reality a motion to urge the federal government, which regulates the classification and possession of all firearms in Canada, to look at banning the sales of handguns within urban areas such as Toronto. However, retail sales are within the purview of the province, through the Chief Firearms Officer and through other provincial legislation, and the city, which issues business licences. It is unlikely the federal government can unilaterally ban handgun sales in a specific city or even within urban areas because by and large possession, sales and transfers of handguns (which are classed as restricted firearms) are already delegated to the provinces. The Chief Firearms Officer, which is a function of a senior Ontario Provincial Police officer, and their delegated staff, are responsible for approving business licences for firearms retailers, manufacturers, and distributors within Ontario. The CFO has wide latitude in issuing licences, attaching conditions to those licences, and of course revoking and cancelling those licences. At any rate, Toronto already only has one retail store that sells handguns, and very few retail stores that sell ammunition. For residents of Toronto who own or plan to own restricted firearms, the city council motion would have the effect of removing possibly just the one local business from the city. While this would have a terrible impact on that retailer, there are many retailers that sell and ship firearms by mail and courier (including restricted firearms), and Toronto residents can also travel to nearby communities where gun stores are located and purchase handguns there. The impact of any potential move to ban handguns in Toronto, or Hamilton for that matter, would be negligible to residents. Coincidentally, the impact to criminals using handguns would be negligible, since criminals do not purchase firearms from legitimate retailers, and criminal gun traffickers are already breaking the law and are unlikely to be deterred by any new ones. Even law enforcement officers have acknowledged that any move to ban legal handguns would have no impact on criminal use of firearms aside from potentially reducing the available number that can be stolen from legitimate owners. But with over 1 million registered restricted and prohibited firearms already in private hands, including an estimated 100,000 in the city of Toronto alone, the potential for theft of legal firearms is not eliminated by any handgun sales ban. The fact that over 1 million restricted and prohibited firearms are already owned by lawful private owners, a number that grows every year, would on its face seem to suggest that this group of gun owners is no threat to public safety with existing stringent gun laws in Canada, including requirements for safe storage and transportation. Bill C-71 is Coming, Are You Ready?